On Tuesday, January 8th, Speaker Nancy Pelosi and Rep. Mike Thompson introduced House Resolution 8, the Bipartisan Background Checks Act of 2019, a new law mandating universal background checks that closes the loopholes in gun sales, alongside our friend and shooting survivor, former Rep. Gabby Giffords. 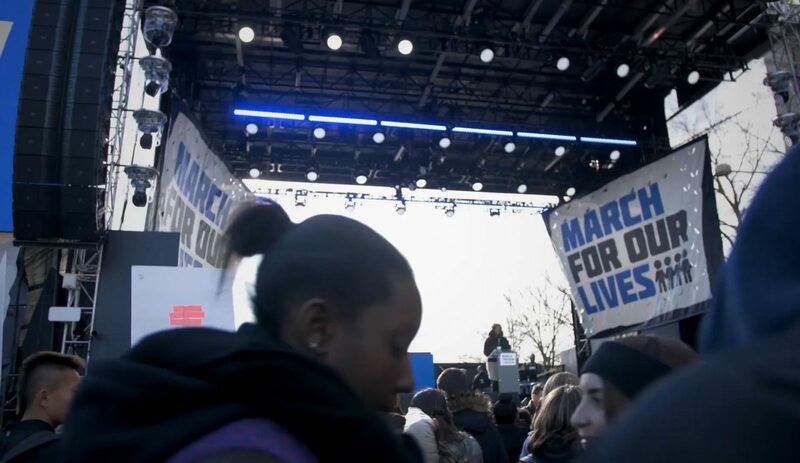 Then, on February 27th, thanks to the organizing of March For Our Lives supporters and gun violence prevention groups around the country, H.R. 8 passed the House of Representatives. Its companion bill, S. 42, the Background Check Expansion Act, is now in the Senate. We’ve been told that getting this bill passed in the Senate will be impossible, even after a year when nearly 40,000 people died from guns — the highest toll in 50 years. And even though 97% of Americans support universal background checks, which are proven to save lives, the NRA-paid politicians are determined to keep the status quo. But we call B.S. We won’t let them be complacent while firearms are ending up in the wrong hands every day — the fight for universal background checks is the most important fight for gun violence prevention yet. It’s time to put people over profits. Let the Senate know we want S.42 passed and we will stay loud until this bill becomes a law. 97% of Americans agree: we need universal background checks. Universal background checks aren’t just popular—they’re proven to save lives. Last year was the worst year for gun deaths in our nation in 50 years. 40,000 people died from gun violence. And you, our elected representatives, did nothing to stop it. For too long, Congress has refused to act to protect our communities from gun violence. That stops now. We demand you pass S. 42, the Background Check Expansion Act, which will institute universal background checks and save American lives. Everyone who buys a gun should be vetted. We demand you do what needs to be done to protect our citizens from gun violence and pass this critical legislation.